March 21, 2018 "Information Clearing House" - A week ago we asked if 'Novichok' poisons are real. The answer is now in: It is 'yes' and 'no'. Several Russian scientist now say that they once researched and developed lethal poisons but they assert that other countries can and have copied these. 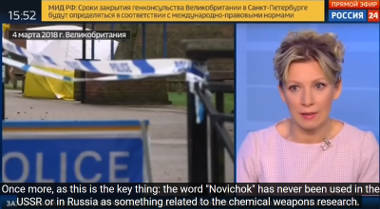 'Novichok', they say, is a just western propaganda invention. They see the British accusations as a cynical plot against Russia. The people who push the 'Novichok' accusations have political and commercial interests. Theresa May's claims are highly questionable. "... no patients have experienced symptoms of nerve agent poisoning in Salisbury and there have only been ever been three patients with significant poisoning." 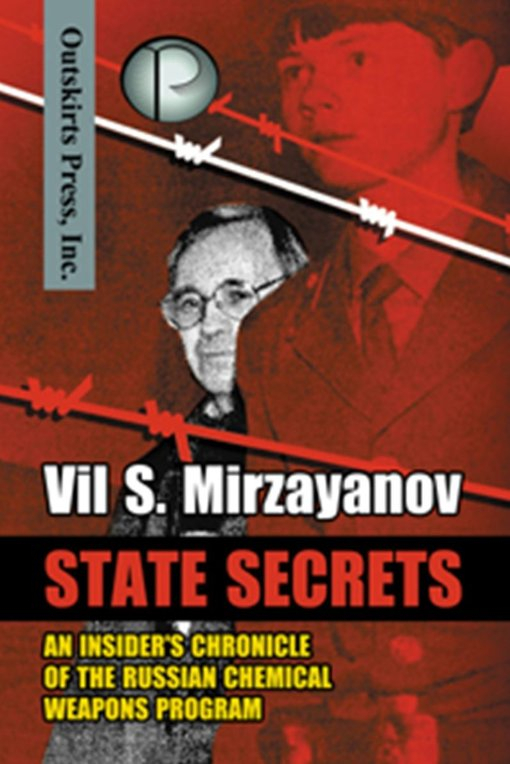 The name 'Novichok' comes from a book written by Vil Mirzanyanov, a 1990s immigrant to the U.S. from the former Soviet Union. 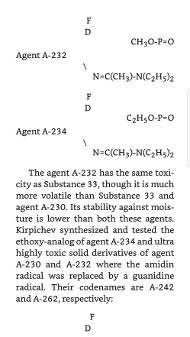 It describe his work at Soviet chemical weapon laboratories and lists the chemical formulas of a new group of lethal substances. A 'Novichok' nerve agent plays a role in the current seasons of the British-American spy drama Strike Back which broadcasts on British TV. Theresa May might have watched this clip (vid) from the series. Is it a source of her allegations? The Russian government rejects the British allegations and demands evidence which Britain has not provided. Russia joined the Chemical Weapon Convention in 1997. By 2017 it had destroyed all its chemical weapons and chemical weapon production facilities. Under the convention only very limited amounts of chemical weapon agents are allowed to be held in certified laboratories for defense research and testing purposes. The U.S. has such laboratories at Fort Detrick in Frederick, Maryland, the British lab is in Porton Down, a few miles from Salisbury. The Russian lab is in Shikhany in the southern Saratov Oblast. The Organisation for the Prohibition of Chemical Weapons (OPCW) audits these laboratories and their declared stocks "down to the milligram level". The spokeswoman for the Russian Foreign Ministry and famous high heels folk dancer (vid) Maria Zakharova explains in a TV interview (vid, English subtitles) that 'Novichok' was not and is not the name of any Soviet or Russian program. The word was introduced in the "west" simply because it sounded Russian. Did you have anything to do with creating what the British authorities call the "Novice"? - Yes. This was the basis of my doctoral dissertation. 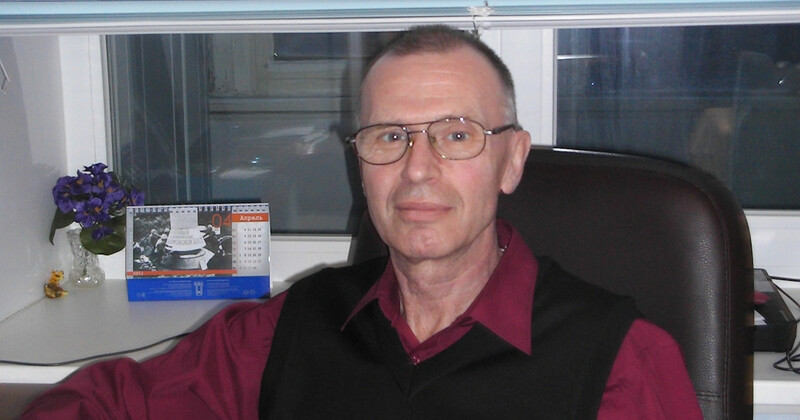 At that time I worked in Shikhany, in the branch of GosNIIOKhT (State Research Institute of Organic Chemistry and Technology, during Soviet times was engaged in the development of chemical weapons), was a leading researcher and head of the laboratory. 'Novichok' or 'novice' was never used as a program name. New Soviet formulas had alphanumeric codes. 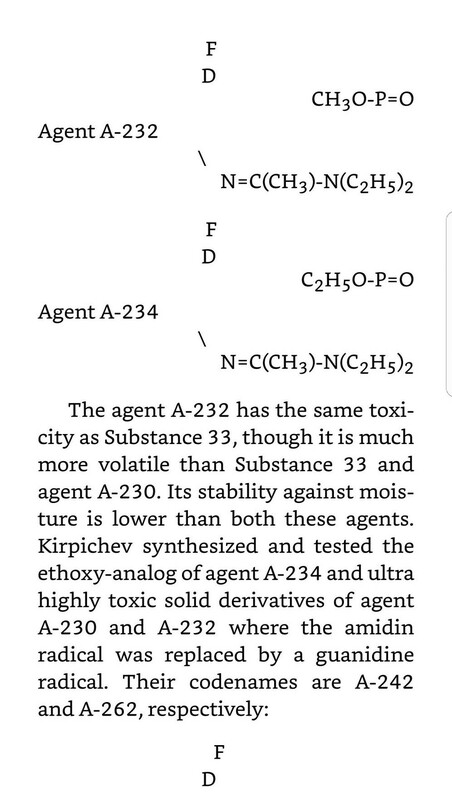 Several new nerve agents were developed in Shikhany in the 1970s and 80s. These new substances can cause immediate deadly reactions when applied to humans. Vil Mirzayanov was head of the chromatographer group, chemists who deals with the separation and analysis of various mixtures of substances. He was responsible for environmental control and not a developer of any new substances. Rink told Russia’s state RIA Novosti news agency Tuesday that Britain and other western nations easily could have synthesized the nerve agent after chemical expert Vil Mirzayanov emigrated to the United States and revealed the formula. Echoing Russian government statements, Rink says it wouldn’t make sense for Moscow to poison Sergei Skripal, a military intelligence officer who spied for Britain, because he was a used asset “drained” by both Russia and Britain. He claims Britain’s use of the name Novichok for the nerve agent is intended to convince the public that Russia is to blame. The Bell was able to find and speak with Vladimir Uglev, one of the scientists who was involved in developing the nerve agent referred to as “Novichok”. [...] Vladimir Uglev, formerly a scientist with Volsk branch of GOSNIIOKHT (“State Scientific-Research Institute for Organic Chemistry and Technology”), which developed and tested production of new lethal substances since 1972, spoke for the first time about his work as early as the 1990s. He left the institute in 1994 and is now retired. The four substances were developed by Pyotr Kirpichev and Vladimir Uglev. These substances were not readily usable by the military as they could not be safely transported and used in the field like binary chemical weapons can. Once synthesized they were extremely dangerous. Professor Leonid Rink, working later in a different group, tackled the problem but did not succeed. 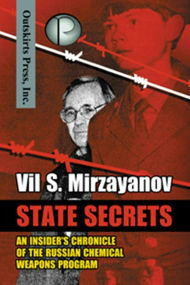 Uglev confirms that Vil Miranzayanov was not involved in the development at all. His group was responsible chemical analysis and for environmental control around the laboratory. Vladimir Uglev, like Renk and Miranzayanov, notes that these agents "of a type developed by Russia" can now be produced by any sufficiently equipped laboratory, including private ones. Uglev further notes that blood samples from the Salisbury victims, which Moscow demands but Britain has not handed over, can show what agent (if any) were involved and "where the specific dose was produced and by whom." Weapons experts have told New Scientist that a number of countries legally created small amounts of Novichok after it was revealed in 1992 and a production method was later published. In 2016 Iranian scientists, in cooperation with the OPCW, published production and detection methods for such agents. It is likely that the various government labs secretly re-developed and produced these chemicals for their own purposes even prior to the Iranian publication. DW: You argue that the source of this nerve agent, Novichok, is Russia. How did you manage to find it out so quickly? Does Britain possess samples of it? Boris Johnson: They do. And they were absolutely categorical and I asked the guy myself, I said, "Are you sure?" And he said there's no doubt. The claims by the British government that a. the Skripals were affected by a nerve agent and that b. Russia was involved in the Skripal incident because it has some exclusive access to these agents seem both baseless. Unless there is significant further evidence the British incrimination of Russia looks like a cynical plot invented for political and/or commercial purposes. As usual in the military-industrial complex the people who push such scares, are the ones who profit from them. Long before the Salisbury event, de Bretton-Gordon was urging greater government expenditure on chemical protection counter-measures and equipment. de Bretton-Gordon is managing director CBRN of Avon Protection Systems, based in Melksham, Wiltshire. On April 29 2014, the [Daily Telegraph] reported that it “obtained soil samples collected from sites of chemical attacks inside Syria by Dr Ahmad — a medic whose real identity cannot be revealed for his own protection — who had previously received training in sample collection by western chemical weapons experts. The "White Helmets" propaganda group in Syria was founded and is run by the former(?) British army intelligence officer James Le Mesurier with British and U.S. government money. His former(?) colleague de Bretton-Gordon is running the parallel Syria chemical weapon scam. Both profit from their government financed operations. Other British agents involved in the Skripal case are Pablo Miller who recruited Skripal for the MI6. He was a friend of Skripal, also lived in Salisbury and worked for Christopher Steele, the former(?) MI6 agent who produced the 'dirty dossier' about Donald Trump for the Clinton campaign. Both are involved with Russian mafia emigres in Britain like Boris Berezovski and the deceased Alexander Litvinenko who's father says that he was killed by an MI6 or CIA guy. While the British government blamed the Russians just a week after the incident in Salisbury happened it now seems interested in delaying any further investigations. It took more than two weeks after the incident for the British government to invite the OPCW to help with the case. The head of the OPCW says it will take another three weeks for the organization to analyze the samples the British laboratory now handed over. The British police requires several months to find out what happened to the Skripals. How could the British government be sure of "Russian" involvement within a week and even expel Russian diplomats when the primary chemical experts on the issue will need three weeks for their first analyses and the British police predicts a several months long investigation? The Russian scientist and their government have explained their history and position in relation to 'Novichoks' and the Skripal incident. It is high time now for the British government, its scientists at Porton Down and its greedy mafia of former(?) British intelligence officer and their criminal Russian emigres to come clean about their own roles in it.